Welcome and good morning to another Wonderful Day in the Neighborhood. So in addition to the film, Southside Security Patrol, has a comic strip, cartoon, and video game coming out as well. So be on the lookout. 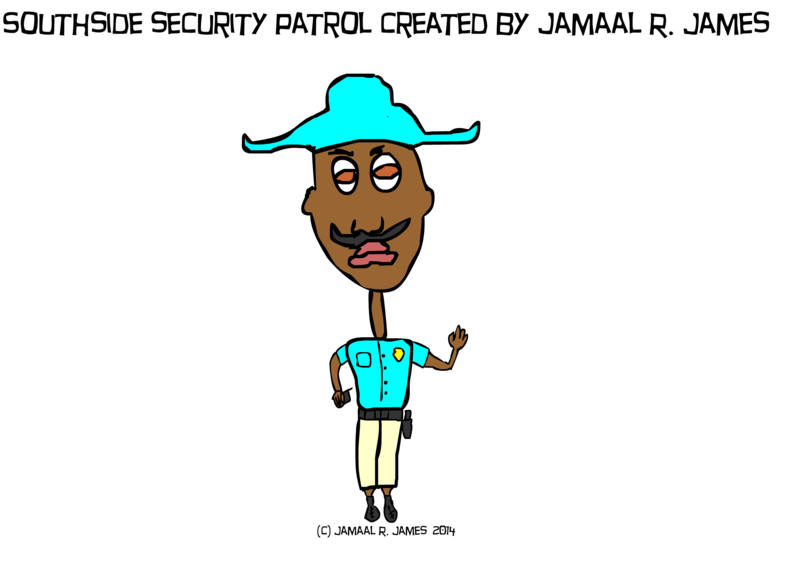 For now here’s one of the Security Patrol Officers who has yet to be named. Enjoy. Southside Security Patrol created by Jamaal R. James and Dustin Houston for James Creative Arts And Entertainment Company.